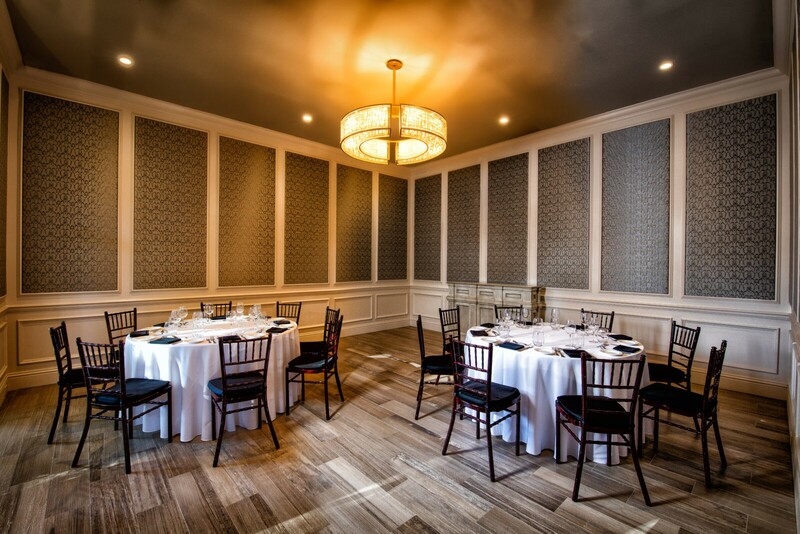 The El Greco & El Camino rooms are located on the west side of the property and overlook the courtyard with floor-to-ceiling glass walls. 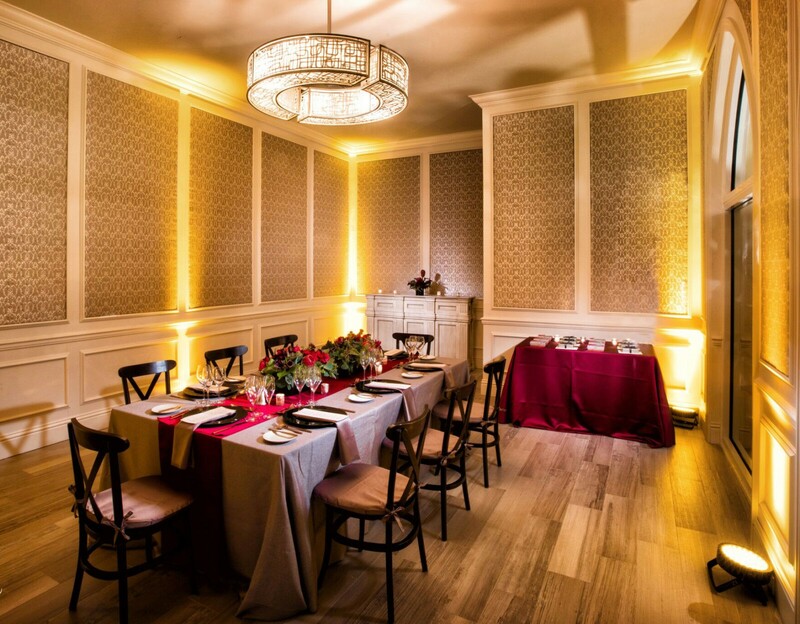 The space features a refreshing patio, exclusive entrance, dedicated bar, and private bathrooms. 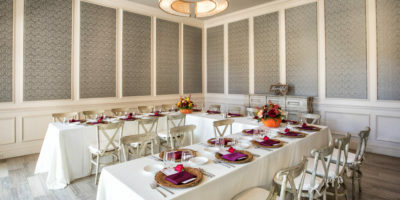 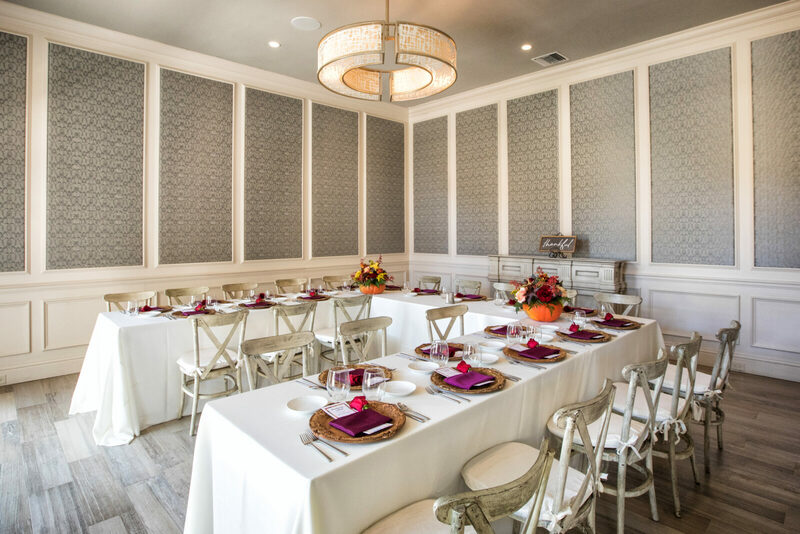 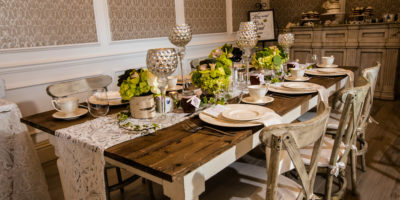 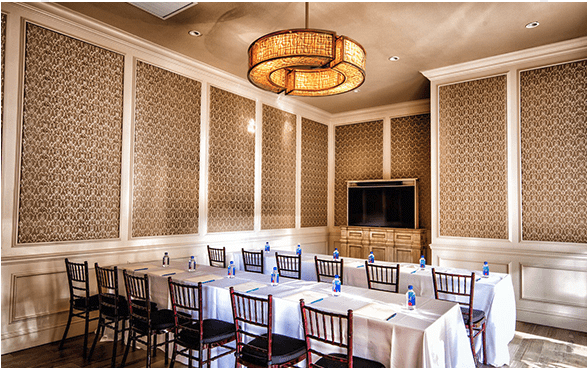 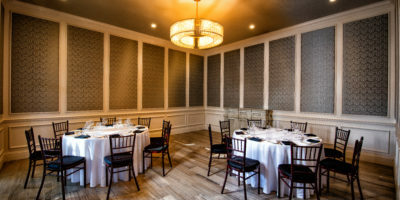 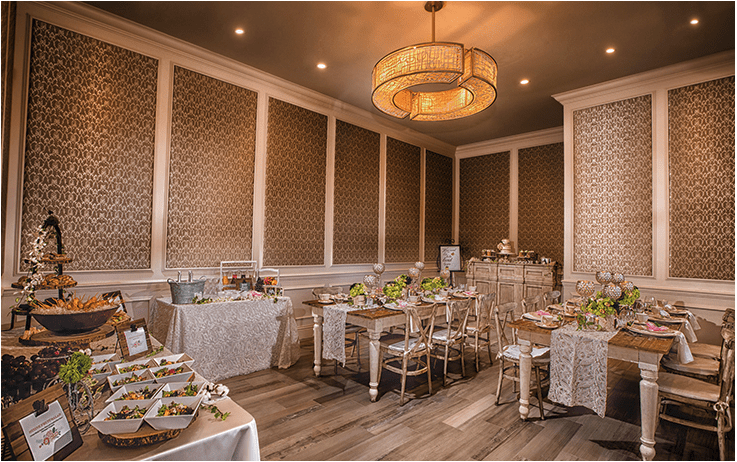 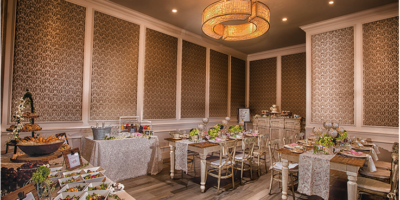 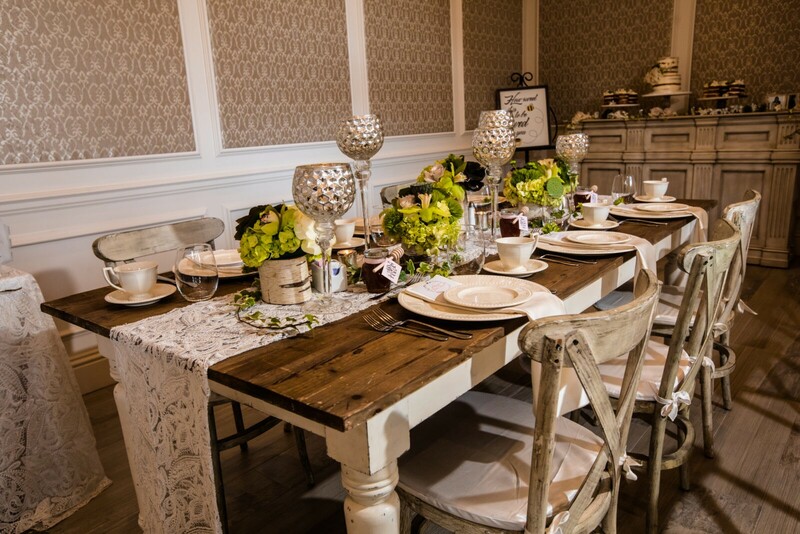 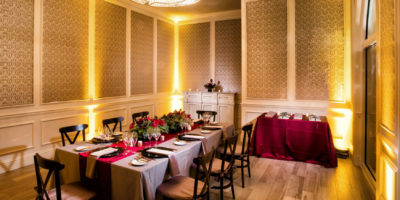 These rooms are perfect for intimate business dinners, classroom style trainings, baby showers and bridal showers, rehearsal dinners, and as a VIP space for large community events. 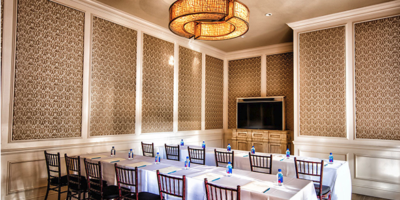 Both rooms encompass a neutral color palette and are equipped with sophisticated and elegant television cabinets and surround sound speakers.